There's a lot more to being a fighter than just getting into the octagon and beating the piss out of somebody. 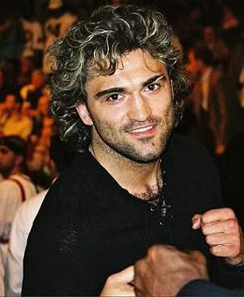 A fighter's image plays a huge role in their careers, and hair plays a huge role in a person's image. 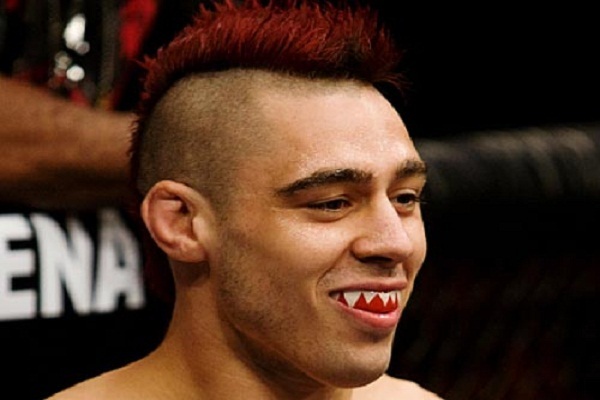 Here are some of the MMA hairstyles that took a walk on the wild side, or were just damn fresh. Look at those gorgeous flowing locks. The key difference is that Arlovski taps people out in the cage, and George Michael taps people's feet in restrooms and then gets arrested. 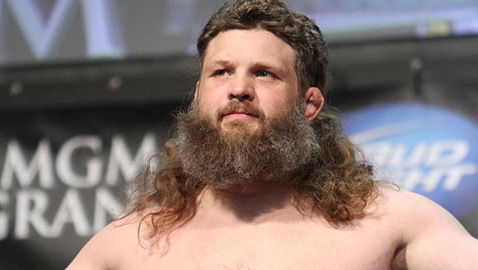 Big Country is a big, beautiful man with a wonderful flowing mane. Party in the front, party in the back. 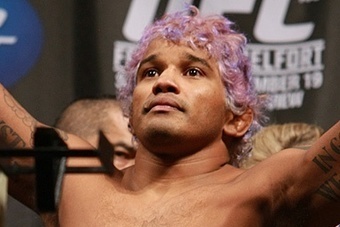 There's a special type of intimidation that comes from standing across the cage from a dude with pink hair. It gets inside your head, instead of focusing on the fight you're thinking "I can't lose to this guy. 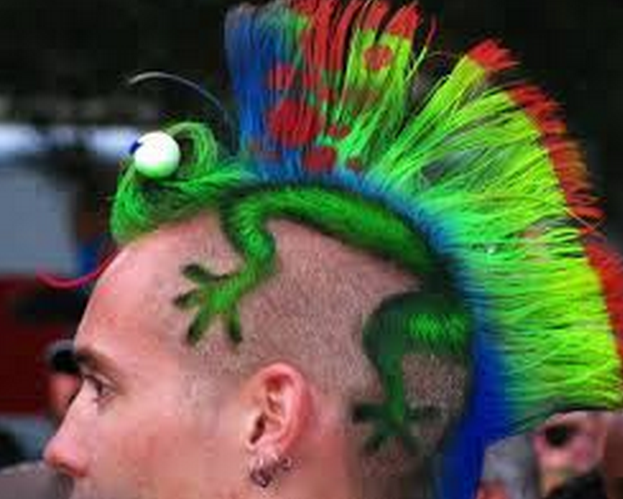 I can't lose to this guy..."
Dan Hardy's known for his signature red mohawk, but he went all-in with this lizard look. 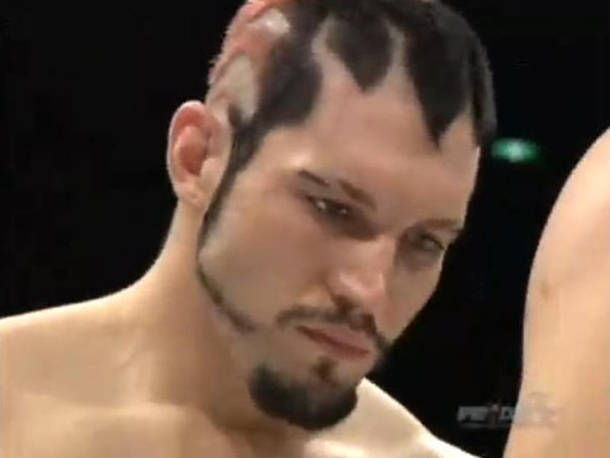 Heath Herring or a bassist in a nu-metal band? In between brooding and poetry sessions, you could find Herring knocking out his opponents during pre-fight staredowns. 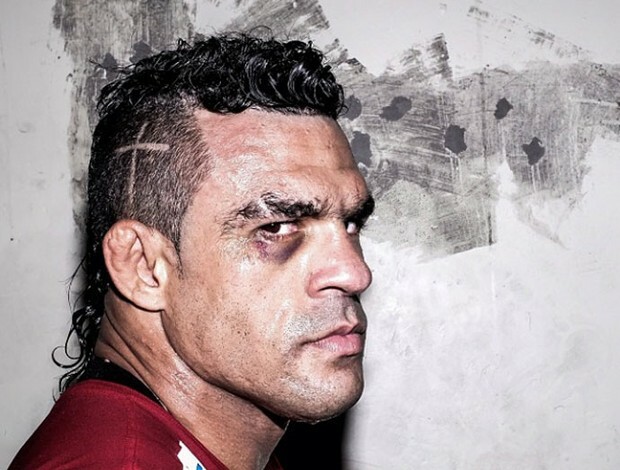 Vitor loves Jesus and credits him for all of his success, and he's got the haircut to prove it. After nearly a year off, Caceres will be making his return to the Octagon soon. 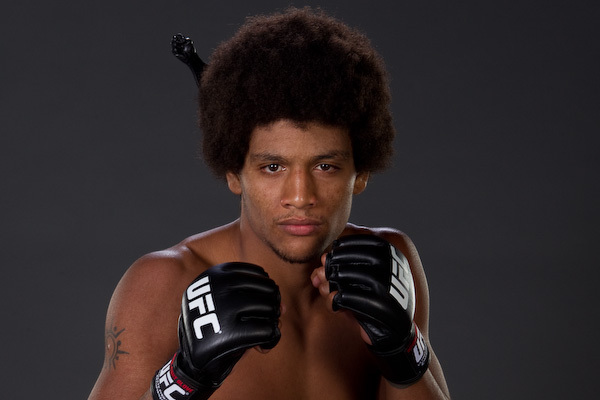 Will the fro be intact? 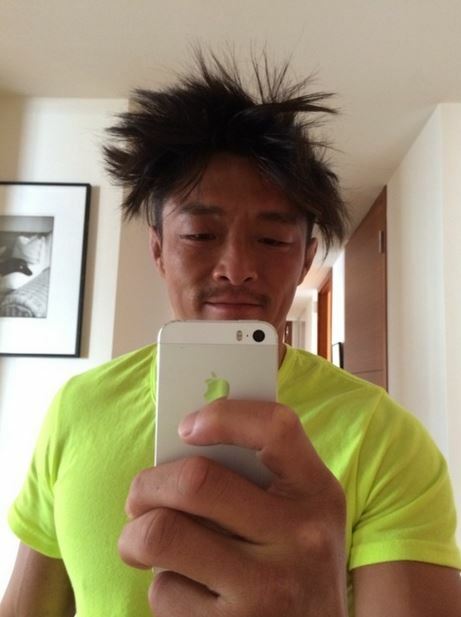 Yoshihiro Akiyama, better known as Sexyama amongst MMA fans, can get a man pregnant with just one glance. 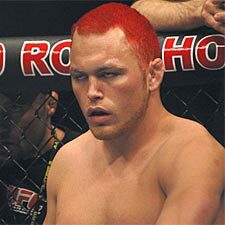 Chris Lebel would dye his hair red before a fight, but it was unnecessary because it would become covered in blood by the end of most of his fights anyways. This muay thai fighter hasn't changed hairstyles since 2nd grade. Problem? 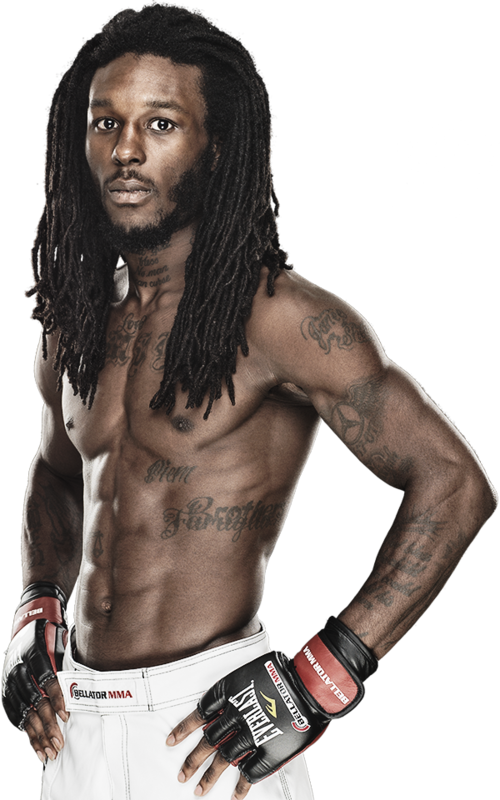 Bellator's Green has some dreadlocks that would make The Predator jealous.